So if you walk longer or wait longer, things become cheaper, huh? I guess that sorta makes sense, but this is starting to become very confusing. I just want to get to places. "Good things come to those who wait for their Uber. The ride-hailing company has started testing a feature that gives riders the option to trade a shorter wait for a cheaper fare. 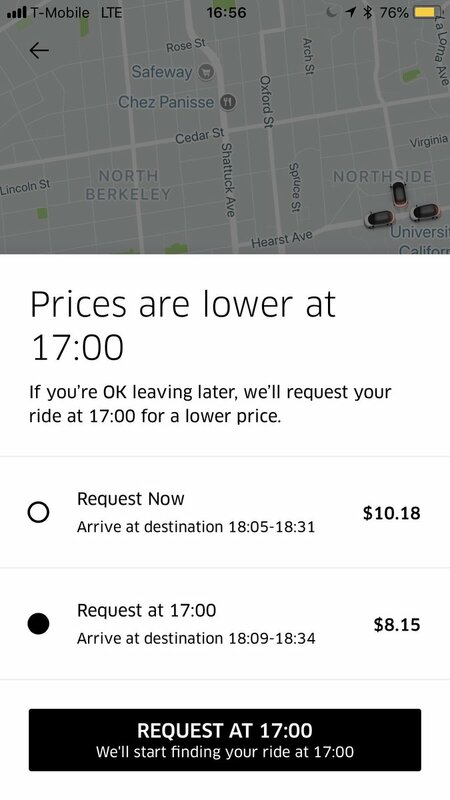 “Prices are lower at 17:00,” Uber recently advised an Uber employee who requested a ride in Berkeley, California, and tweeted a screenshot of the feature."